"Keep learning ~~ keep smiling ~~ keep sharing"
*Catholics are always intimidated into believing that we do things contrary to the Bible just because we are ignorant of what we do. Blogger's commenting system offers many identity options for leaving comments. 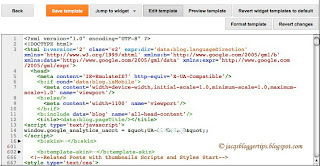 Yet some blogger blog owners do not provide the complete list of identity options already made available by Google, probably intentionally or unknowingly. A recent visitor to this blog would like to know why some of the blogs that she wanted to leave a comment on, did not give the Name/URL option. I'm mighty glad that she challenged me for an answer as it pushed me to pursue the matter at hand. Frankly, I had encountered such similar scenario and had always wondered why, but never bothered to investigate further until then. It can be frustrating when commenting on a blog or website, and find that you're unable to link back to the desired blog of yours that has related contents. Therefore, it is advisable to offer the complete list of identity options for commenting to your readers and reward them for visiting your blog. Anyway, it's as easy as ABC to enable it at your blog's setting. A few days ago I had wanted to do a tutorial on some new blogging techniques that I've learned recently, only to be surprised that the Edit Template editor that I was familiar with had 'disappeared' without warning! 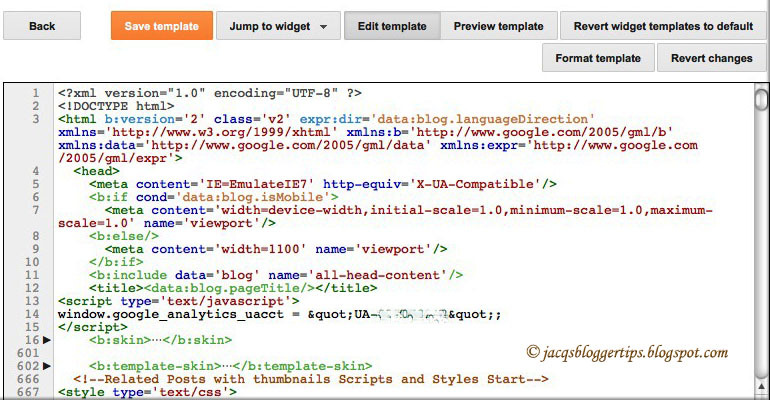 To see the new Template HTML Editor, click the 'Template' tab on the Blogger dashboard, then the 'Edit HTML' button. Blogger has updated it with new features, an improved version that's to bring smiles to many. This is good news to many, especially the web-developers, programmers and tech-savvy blog owners, but sad news to as many of us ordinary bloggers who are technically challenged! I fall under the second group.... before I can master the old, it is being replaced by the new, a roller coaster ride until I learn and catch up again. Have you ever wondered how to add your own customized favicon (also known as favourite icon) to your blog? It's a tiny image (16x16px) that you can have next to your web browser's window or tab to give the professional touch to your blog and make it easily identifiable. Thanks to the Blogger team that had enabled this feature more than a year ago and simplify the process for us bloggers to install it at our blogspot. Yay... no knowledge of HTML or CSS codes required! Isn't that wonderful? For those who are interested and yet to apply your uniquely customized favicon to your blog, just follow the steps in the tutorial below. You must each decide in your heart how much to give. And don't give reluctantly or in response to pressure. "For God loves a person who gives cheerfully." And God will generously provide all you need. Then you will always have everything you need and plenty left over to share with others. © 2009-2016 Jacq's Blogger Tips.